Berlin-born Lars Huismann makes his vinyl debut on Voxnox Records. After his last heavyweight releases on Animal Farm, RAW, Pls.Uk and Bipolar Disorder, he is bringing us another bomb in 12″ Vinyl format. The first track “Frozen Minds” is an excursion deep into unknown spaces and makes you feel like you are on an expedition into the sea. The bassline is constantly shaking while supporting the cleverly designed main synths in the groove and drives the track forward ‘steadily’ to the peak. “Delirium” is a trippy big room slammer, supported by a heavy rolling bassline, driving drums and a dark, intense atmosphere. The hypnotic synth line will devour you from the inside out and play with some brilliant effects. “Mechanical Thoughts” sounds like a saw on an mechanical apparition. The meditative synth-line is constantly modulating and drives the track forward with an impressive energy. After the first drop, Lars starts to play again with his question and answer game. Two well-designed synths alternate in an hypnotic pattern and take the listener into a mind-blowing trance. “Autonomy Sacrificed” reveals Lars` melodic side. The track starts with a heavy slamming kick drum, supported by an smart bassline-pattern and percussion-body. However it gets more and more intensive, as the track proceeds. After a short time, the main melody brings up apocalyptic staccato-strings, which are set in an intriguing question and answer game. A1) Sept opens up the EP with the powerful track ‚Chaos Collider‘. A greasy bassline with a punchy kick connects perfectly with an accompany of delayed vocal loops and dynamically working percussions. All this turns the track into a serious dancefloor weapon. A2) The second track is a subjective vision of the title track mixed by Setaoc Mass. Mysterious and atmospheric sounds with a well compressed kick and groovy drums – that is what we call the signature style of Manchester born uprising star. B1) Putting on the B-side you will find an original production by Sept. 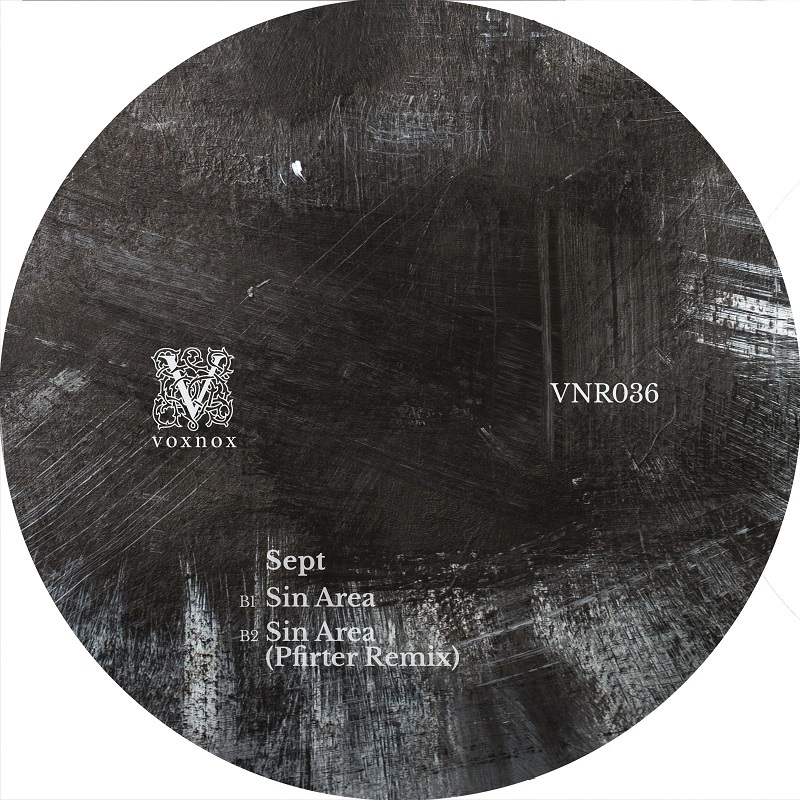 Stomping kick, eerie sounds and a LFOed main lead – that is what makes Sin Area a good choice for peak time hours. B2) For the final track on this release, the Berlin based label welcomes Stroboscopic Artefact’s Pfirter. His massive off beat interpretation, filled with arcane sounds is dedicated to the challenging music lovers. A1) The first track of the compilation, „Nuk“ by Subjected is based on square sounding loops, driven by soft as well as dynamic sounding hi hats. It’s character would suit openings and peak time sets. A2) Second track produced by Italian powerhouse – Kaiser is filled with pulsating sounds, which makes you feel as if you are space traveling, leaving you with an impression of touching the future instead of the past. B1) „SX One“, starting with a moody pads smoothly turns into properly stomping track. When the throbbing sound is appearing we have no doubt that this track would perfectly suit big room venues. Great track by the rising techno queen Denise Rabe. B2) Coming to an end, we meet a track of another Italian producer. MTD delivers a hypnotic and pounding piece, gradually releasing it’s uprising temper. Voxnox Records mainstay and A&R Sept returns home for VN034. A1) Sept opens up the EP with the forceful „Challenge“. Showcasing Sept’s trademark saturated, analog sound, „Challenge“ combines rolling percussion with eerie soundscaping and a haunting vocal. A true peak time weapon, this track is sure to set all systems alight. A2) On „Challenge“ remix duties is longtime collaborator and friend, Violent. 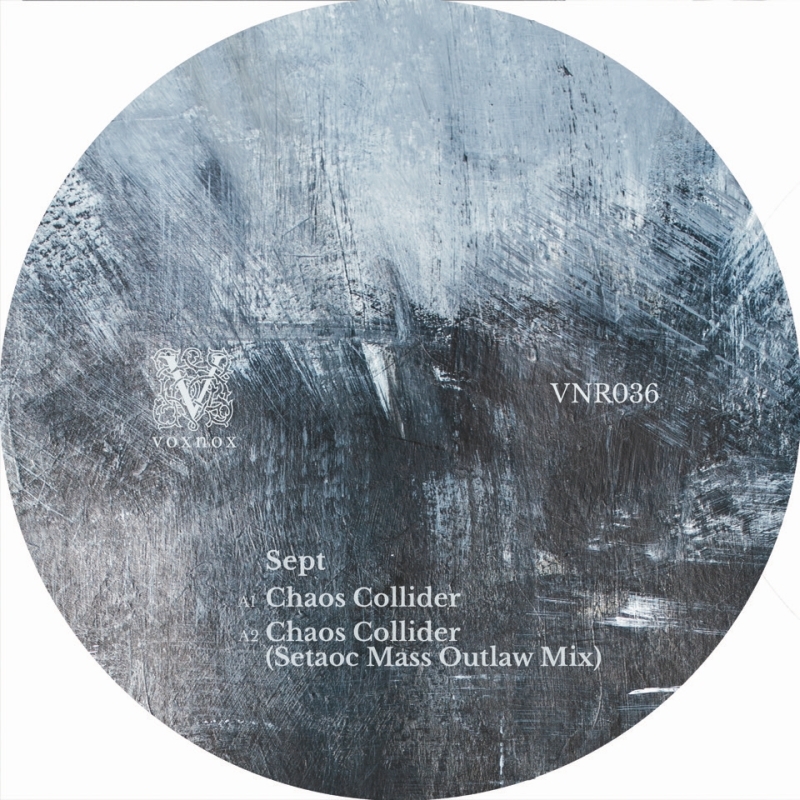 Drawing on the atmosphere of the original, Violent delivers a hard hitting, stomping techno banger that will find a lot of favour with those at the harder end of the spectrum. B1) Opening up the B-side is a further Sept original, „Six Doors“. Employing his excellent use of soundscaping, „Six Doors“ is a measured stepper with undeniable UK influences. One for the deeper hours of the night. B2) Closing off the originals on the EP is „Astral Spirits“. Aptly named, this ambient piece clearly displays Sept’s excellent production skills. Dark, eerie soundscapes and twitchy percussion make this an intoxicating and disturbing piece. B3) For the final track on the EP, Voxnox Records is delighted to welcome Headless Horseman. Known for his exceptional and unique production style, the Horseman is surely one of techno’s greatest talents. Headless Horseman delivers a tough, remix that builds perfectly on the atmosphere of the original whilst showcasing his trademark galloping groove. Not to be missed. Alignment kicks off the EP with ‘New World’, a heavily 90s influenced banger that showcases his trademark rolling groove. Teaming industrial stabs with a dreamy, emotive pad, this track is sure to set the dance floor alight. Alignment continues the theme from the A1 with ‘Extinction’, a deeper, trance-influenced banger. ‘Extinction’s urgency and eclectic sound design make this a peak-time weapon to remember. ‘Planet’ showcases Alignment’s deeper edge to his productions. Restrained synth-work combined with rough, distorted drums make this a highly effective mix tool. Alignment goes back to his roots with ‘Virtual System’, a UK DnB influenced track with jungle-esque percussion to create a deep, atmospheric outro.